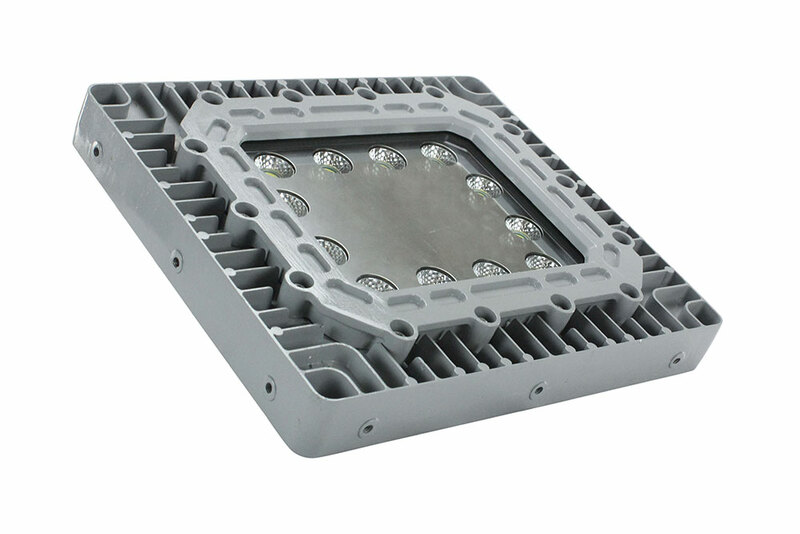 The EPL-HB-100LED-RT-DLC-JB2-40C-BCE from Larson Electronics is an Explosion Proof High Bay light fixture that provides operators with a powerful and energy efficient alternative to traditional hazardous location luminaries. LED technology and compact design makes this lamp an excellent replacement upgrade option for bulky and high maintenance cost older incandescent, metal halide and high pressure sodium lights. This Class I Divisions 1 & 2, Class II Divisions 1 & 2 explosion proof light fixture provides 8,636 lumens of high quality light while drawing only 100 watts. The copper free aluminum alloy body is powder coated for added durability and an attractive aesthetic appearance. 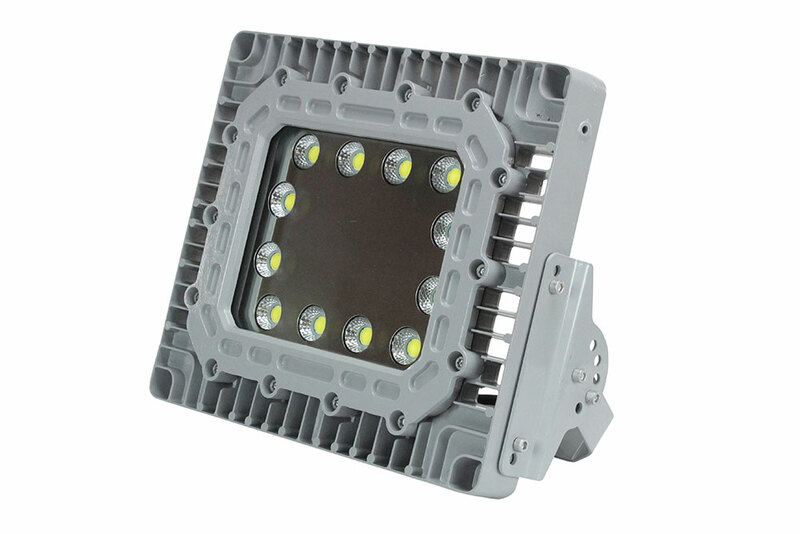 Special heat dissipating design in conjunction with LED technology helps this fixture to achieve an excellent 60,000 hour rated lifespan with 80% lumen retention. 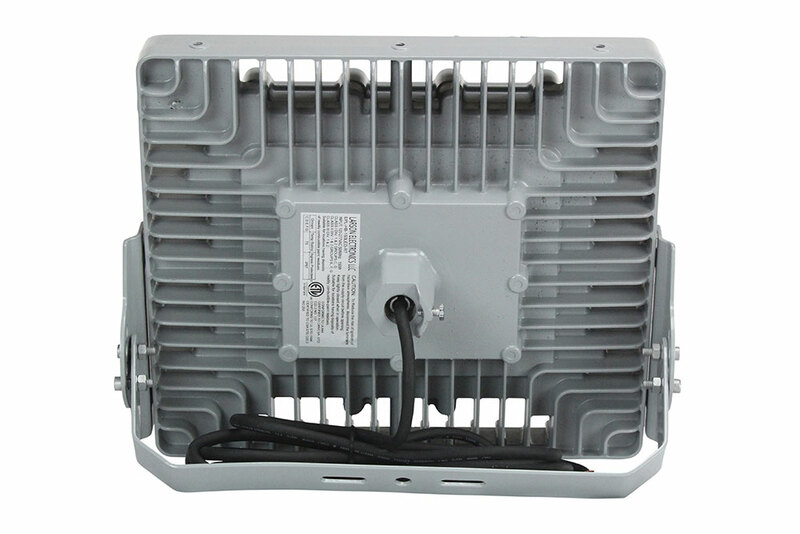 Light weight and a low profile make this unit an attractive alternative to larger and heavier older fixtures and requires less hardware to install. This LED light produces 8,636 lumens with a color temperature of 5000K and a color rendering index of 75 which produces colors and details much more accurately than high pressure sodium or mercury vapor luminaries. The EPL-HB-100LED-RT-DLC-JB2-40C-BCE offers several mounting options including ceiling mounting, pendant mounting, wall mounting and cable mounting. 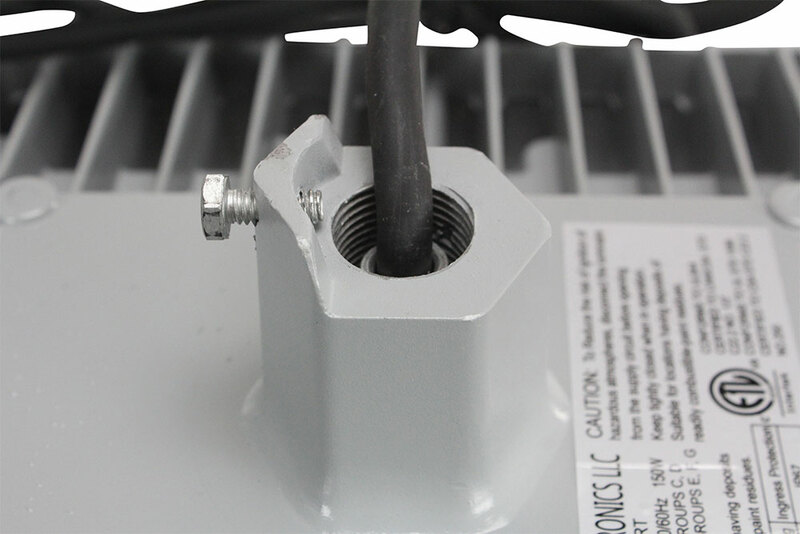 The standard version of this explosion proof LED fixture includes a pendant mount and a surface mount option. 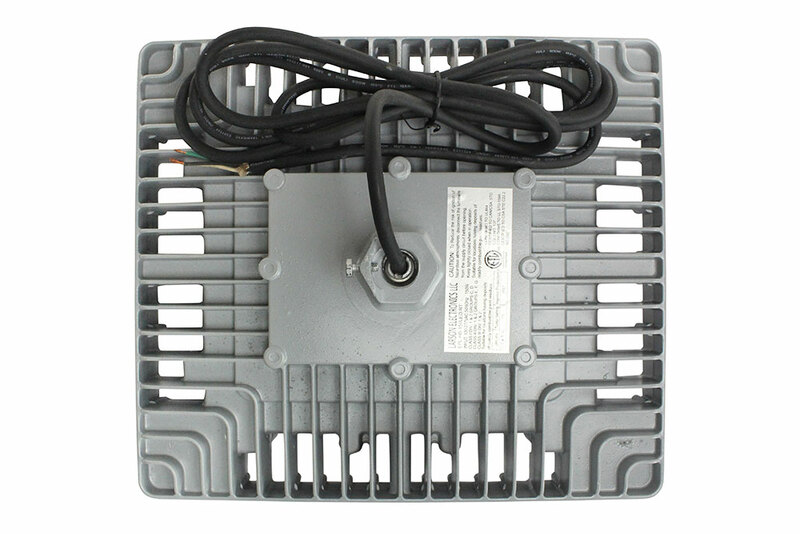 Wiring/Plug: This explosion proof flood light is equipped with a serviceable wiring hub, and 40 feet of 16/3 chemical and abrasion resistant SOOW cord with blunt cut ends for operators to hardwire or terminate their own cord cap.